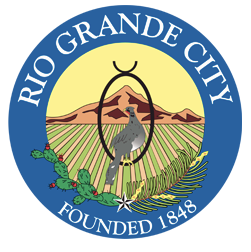 The municipal judge for Rio Grande City who received a public reprimand by state will stay on for another two years after the city commissioners unanimously voted to renew his contract. Leonel “Leo” Lopez Jr., the city’s municipal judge, had his contract renewed just two weeks after the State Commission on Judicial Conduct issued a public reprimand against the judge for violating the Texas Code of Judicial Conduct. Lopez’s contract remains the same as the previous one, Mayor Joel Villarreal said. That contract, approved in June 2016 for two years, included a reimbursement of $4,333.33 per month for his services, which include jail arraignments. His other duties include at least one court session per month, necessary jury trials, jail hearings, including required weekend probable cause hearings and administrative work, according to the contract. Lopez, who did not return several calls requesting comment, was found to have lent the prestige of his office in support of certain candidates in 2016, through Facebook posts and by sitting under the campaign tent for one group of candidates. Villarreal said his Lopez’ public reprimand was taken into consideration when deciding whether to renew his contract but noted that those incidents occurred two years ago. According to Villarreal, Lopez had also taken steps to address those issues for which he was reprimanded. Those steps included Lopez no longer holding a joint Facebook account with his spouse. The mayor reiterated that Lopez had the full support of the city commissioners.